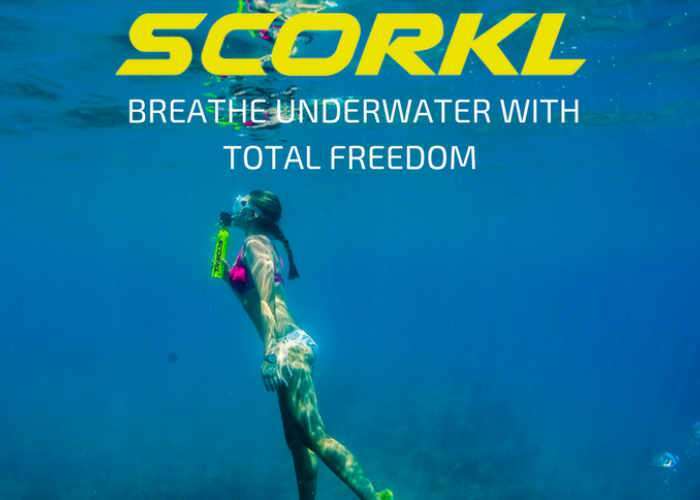 If you are looking for a way to explore the world under the waves in a way as convenient as snorkelling yet providing the freedom of scuba-diving you may be interested in a new device called SCORKL which has been created by David Hallamore. Check out the demonstration video below to learn more about the SCORKL which has been designed to specifically offer a lightweight, portable, refillable design that can provide enough air to enjoy 10 minutes under the waves. Once empty the SCORKL can either be refilled from a scuba tank or if more convenient using the hand pump which is supplied in the portable SCORKL case. The Scorkl regulator is an always-on, breathe-on-demand, balanced single stage regulator and uses the same time proven technology found in regulators used by SCUBA divers around the world. Each Scorkl comes with a pressure gauge which tells you how much air is left at any time. 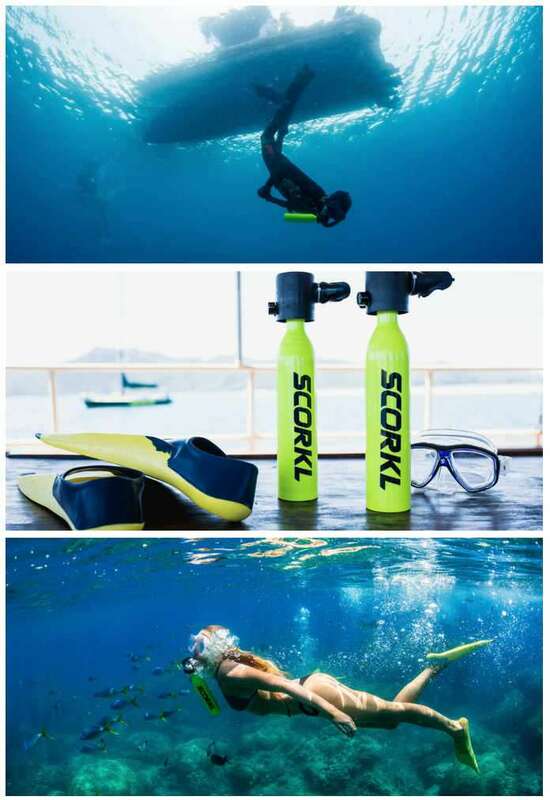 Each Scorkl comes with a FREE scuba tank refill adapter which enables you to refill the Scorkl from a scuba tank in seconds. If you want to be able to refill the Scorkl whenever and wherever you like, we have developed a high-pressure hand pump option. See below for how it works. If you think SCORKL is something your underwater exploration could benefit from, jump over to the Kickstarter crowdfunding website via the link below to make a pledge starting from AU$269, with shipping expected to take place during October 2017.